Agnieszka Smoczynska, the director and script writer of the film, graduated Art History at Adam Mickiewicz University in Poznan in 2001, Cultural Studies at Wroclaw University in 2002 and a documentary course at Andrzej Wajda Master School of Film Directing. She also graduated the Film and Television department at Silesia University in Katowice in 2005. Before The Lure she’s shot several short films. "Zhaleika" by Eliza Petkova is a contender for a Glass Bear in Berlinale’s Generation program, selected among more than 2000 feature films from all over the world. The film is a Bulgarian story, told by a Bulgarian author and shot in the village of Pirin (the same place Iglika Triffonova shot Letter to America some years ago). It tells the story of 17-yeat-old Lora who refuses to change her way of life after her father’s death. Lora is unwilling to accept the way of mourning and become a sad half-orphan. Society on the other hand is unwilling to accept her choice. “The director captures the claustrophobia of a small town and the vastness of a clever young woman’s emotional world in images which remain with the viewer long after the credits have rolled.”, according to the film description in the Berlinale website. In an interview for Deutsche Welle, Maryanne Redpath from the festival’s crew adds, “We were very strongly impressed by the long way Lora goes and the unsentimental gaze through which the director presents customs and traditions”. Zhaleika stars Snezhina Petrova and Mihail Stojanov and the leading role is performed by film debutante Anna Manolova, a student at Luben Groys Theatre College. Eliza Petkova was born in Veliko Turnovo. In 2008 she graduated Philosophy and Japanese Studies in Düsseldorf. She began a PhD in philosophy while at the same time developing an interest in cinema which later on made her give up research. Berlinale isn’t the first international festival for the director to present her works. In 2015 her short film "Abwesend" (Missing) was selected to be the German contender in the Cannes competition for directors who haven’t yet graduated. Petkova is currently studying directing at the German Film and Television Academy in Berlin (DFFB) and "Zhaleika" is a student project financed by the German Film Academy and the New Bulgarian University. "The Paradise Suite", a co-production between the Netherlands, Sweden and Bulgaria by director Joost van Ginkel started as a project at Sofia Meetings. It premiered in Toronto and was then presented in the competition at Palm Springs. It received the best actor award and the Ecumenical jury award in Tallinn in November last year. In the leading role we’ll see the well known and loved Anjela Nedyalkova (Ave). "The Paradise Suite" is Ginkel’s second feature film - in 2008 his first feature work "Sand" was selected for the Venice Festival (2008). His second film Kiss was presented at Tribeca. His debut feature "170HZ" won the audience award at the 2011 Netherlands Film Festival and competed at Busan, Shanghai, Moscow etc. "The Paradise Suite" is a production by GötaFilm, KaBoAl Pictures and Film i Väst with the support of The Netherlands Film Fund, Netherlands Production Incentive, Euroimage, The Swedish Film Institute and EA National Film Centre - Bulgaria. "I, Olga Hepnarova", a coproduction by The Czech Republic, Poland and Slovakia is a project by Petr Kazda and Tomás Weinreb. This black-and-white film, set in the 1970s tells a story about the conflict between the individual and a society which refuses to accept differences in race, gender or sexual orientation and their inability to fit in the surrounding world. The film tells the story of a young and lonely lesbian who gets no support or understanding from her family. Olga Hepnarova fails to fit into the accepted moral norms. Her paranoiac self-analysis and inability to bond with others push her beyond the limits of humaneness when she is only 22. 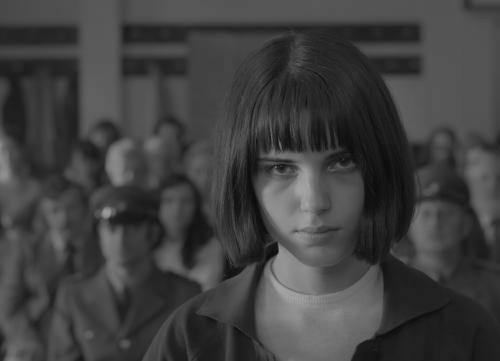 She falls victim to loneliness and alienation which leads her to destructive actions.The two directors manage to present Olga’s world to the viewers through her letters. Petr Kazda and Tomás Weinreb graduated the Independent Film College in Pisek as well as documentary direction and dramaturgy at the Film Academy in Prague (FАМU). They’ve worked together on several short and documentary films (Antero (2003), Eclipse (2006), Many man and many women (2009), I and Me (2009), Everything is Crap (2009), presented at various international festivals - Con-Can – Япония ‘09, NEISSE – Germany‘10 etc. You can expect more information about the films in the main competition programme!